The CIO and blogger talks to ThinkAdvisor about his firm's robo-platform, Liftoff, and why he'd wish for a market crash if he were a millennial. Barry Ritholtz has nothing against the term "robo-advisor." Tomato-tomahto…potato-potahto – let’s call the whole thing automated online investing. And for the last nine months, Ritholtz Wealth Management has offered it. Liftoff is a low-cost way for millennials to start saving for retirement, Chairman and Chief Investment Officer Ritholtz told ThinkAdvisor in an interview. The otherwise high-net-worth-focused RIA quietly launched Liftoff last October. With scant marketing, it has been “growing organically – slowly and steadily,” says Ritholtz, who describes assets under management as “fairly modest.” The account minimum is $5,000. The automated digital platform, from Upside, employs Ritholtz’s proprietary asset management allocation for long-term investing. It uses commission-free ETFs only in a broad assortment within a variety of asset classes. 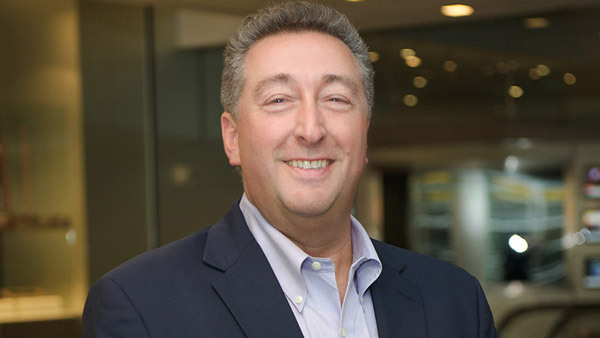 Though clients may contribute annually, a major intention is to “train” people in their 20s and 30s to make regular contributions, says Ritholtz, whose popular financial blog, The Big Picture, boasts 1.5 million page views monthly and who presciently warned his clients of the housing and derivatives debacles. Liftoff portfolios, rebalanced regularly, use mostly Vanguard ETFs, with one ETF each from iShares and State Street. Funds are custodied at TD Ameritrade. When RWM and Upside introduced Liftoff last fall, Ritholtz’s firm owned a small stake in the online services provider. But now it has no equity following Upside’s acquisition by Envestnet this past February. Ritholtz, an angel investor in technology startups, has long been tech-minded. A former attorney, he worked in finance originally as a trader, then as a researcher and strategist for more than a decade before moving into asset management. In 2013, he founded New York City-based RWM, of which Josh Brown is CEO. ThinkAdvisor: Do you object to Liftoff’s being called a robo-advisor? Barry Ritholtz: I don’t find that insulting. Who cares what people call it! It is a robo-advisor. It’s software that helps people make better investment decisions based on well-understood principles of global diversification and asset allocation. Many millennials are distrustful of Wall Street and financial advisors. Why would they have trust to put money into an automated investment system? The millennial generation is very comfortable living online with everything from Google to LinkedIn to Instagram to Tinder. Those are all algorithmically driven. So if [even] your dating options are driven by an algorithm, this is just another piece of software with an advantage. But don’t millennials need handholding from a human advisor? “I hope this isn’t a big recession and I’m going to lose my job!” If you have a multi-decade horizon, day-to-day volatility is just noise – you can ignore it. But if I were a millennial [while aware of effects on the economy], I’d be rooting for a huge market crash so I could buy as much stock as possible as cheaply as possible. Will robo-advisors usurp traditional advisors’ position and livelihood? It’s clear that most of the asset management business is going to offer some form of low-cost software-driven asset allocation modeling. That’s the future for a substantial portion of the industry. But I don’t see robo-advisors making full-service wealth management go away. These are two very different sets of services geared to two very different sets of investors. Somebody who doesn’t have the complex needs for a full-service wealth management shop, or who doesn’t want to deal with someone on a one-on-one basis, or who only has a small amount of money they want to start with and therefore may not meet the minimum of the average advisor firm. Making investments on their own wouldn’t work? Left to their own devices, people do stupid things with their money, including how they invest it. What distinguishes Liftoff from other robo-advisors? Our unique allocation. We think our portfolios are going to perform better than those that we’ve seen from similar robo advisors. [CEO] Josh [Brown] and I have a philosophy about investing and markets that’s reflected in the portfolios. With Liftoff, [clients] are getting the best of our thinking. Are Liftoff portfolios designed to beat the S&P 500? The whole concept behind an asset allocation model is a pursuit of beta, not alpha. [Even] the majority of professional [managers] underperform year after year. The solution is a model that holds different asset classes with high-performing low-cost ETFs. That seems to be a better choice than playing the stock market and market-timing game. With Liftoff, we’re not recommending individual stocks; we’re not trading people in and out. What’s the makeup of the portfolios? There are a couple of variations based on your challenges, how long your window is, etc. We very much geared them toward 20- or 30-somethings: They’re a little heavier on equities and a little lighter on fixed income than is typical in portfolios aimed at people in their 50s or older. The fixed income [portion] allows us to rebalance over long periods of time. To what extent are the portfolios different from one another? For someone who is very risk-averse and conservative, the portfolio is going to look pretty similar to someone else who is maybe a little more risk-averse or a little less conservative. But you can slice it finer and finer. What prompted you to launch Liftoff? I was never comfortable saying, “Sorry, you don’t meet our minimum.” So we decided to come up with an inexpensive way to help such people. The idea behind online algorithmically driven asset management is not that it’s a big money-maker but that it allows us to offer a version of our services to people who can’t afford our full-on wealth management. We may begin to market it more aggressively in the not-too-distant future. Are you opening many accounts at the $5,000 minimum? It’s all over the map. I can’t say that a dominant trend has arisen. We’ve had inquiries on half a million dollars and on a few thousand dollars. Lots of $40,000s, $50,000s and $80,000s have come in. The annual fee is 40 basis points. How long do you plan to keep it at that? As the total dollars in Liftoff go up, the fee is going to go lower. Eventually, I’d like to drive fees appreciably lower as assets continue to flow in. Is Liftoff competing with robo-advisors like Wealthfront and Betterment? Yes and no. Not really. We like our portfolios much better, but we love how much mindshare those guys have captured. They’ve certainly caught the attention of the industry. We think of them as colleagues. What are your thoughts about Schwab’s new robo-advisor platform with 450 ETFs? Offering a broad variety of services is kind of intriguing. You just never want to overwhelm people with choices because you end up paralyzing them. But Schwab knows what they’re doing. I’m a little confused about how requiring a certain amount of cash generates an offsetting fee for them. But I’ll reserve final judgment until we see what they’re doing over the course of a couple of years. What’s your prediction for automated investing long-term? The robotic future isn’t giant iron men stomping across the landscape. It’s going to be embedded software in all sorts of devices that used to be dumb, inanimate objects that are becoming intelligent, interactive objects. We continue to look at software as a tool that can provide greater productivity at lower cost. With Liftoff, [RWM] has two very different sets of services for different client bases. And what are expectations for your online offering? Even if it never throws off any sort of substantial revenue, it’s a win-win and a fascinating exploration of what some parts of the future of asset management are going to look like. Your view about technology in general? I don’t want to sound like a starry-eyed dreamer, but these are wondrous times. I’ve always found technology to be miraculous. It has a positive benefit for every aspect of society.